So this turned out to be one of the better Great American Beer Festivals for me personally. 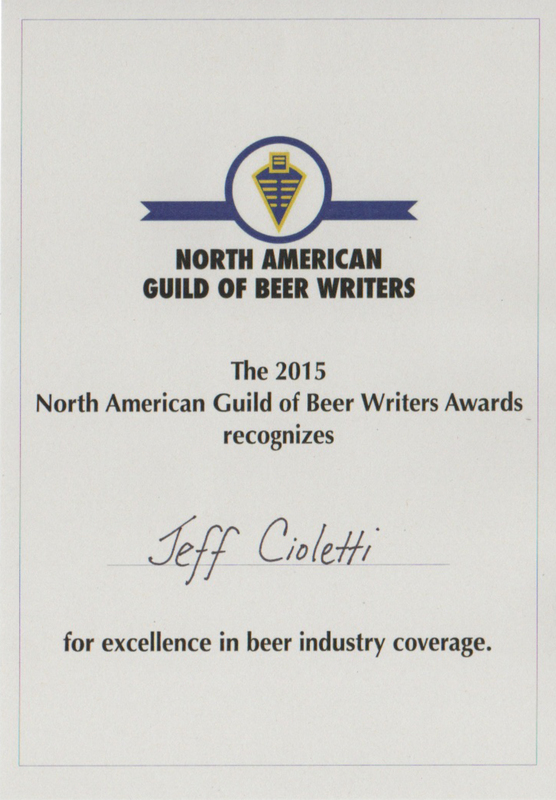 I won 1st place in the Beer & Food category in the 2015 North American Guild of Beer Writers (NAGBW) awards for my article, “Feeding Frenzy,” in All About Beer Magazine. It’s a tremendous honor to be recognized, especially in the company of so many highly accomplished fellow winners. I don’t usually win stuff, so this pretty much made my year. Read the article that won here. Next Post The Drinkable Week: Beer! Beer! Beer! I’d love to hear whether any of these beers were to your liking. Frankly, none of these brews sounded appetizing! The only flavors I think enhance a brew are 1) chocolate 2) coffee 3) cherry and the only place they belong is in a stout. What do you think?